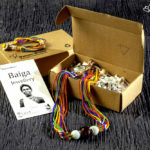 When opportunity came knocking at my door in the form of a phone call by Bhavna Menon, I did not hesitate to grab it even though it meant that I would have to take leave during my medical internship. 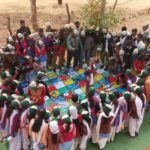 However, the satisfaction of volunteering for the Nature Education Programme at Kanha overpowered my guilt for taking leave,making the choice clear. 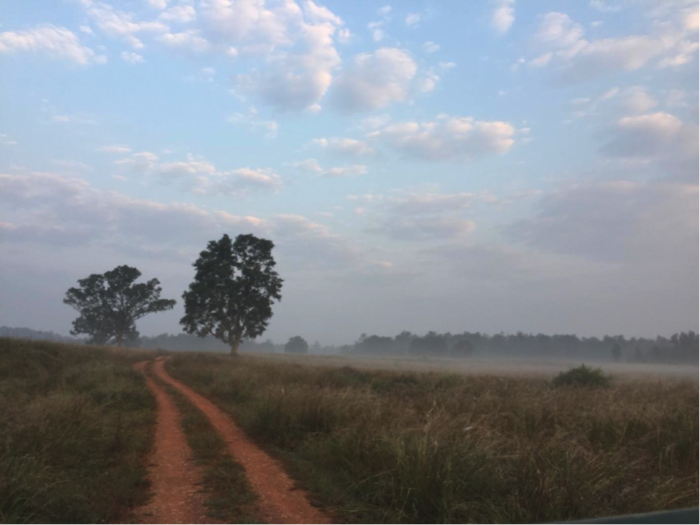 In October, I left for Kanha Tiger Reserve eager to learn and understand perspectives. When I reached Mukki, a feeling of anxiety and excitement filled my heart as this would be the first time I would experience wilderness in the truest sense and not via a documentary or a book. 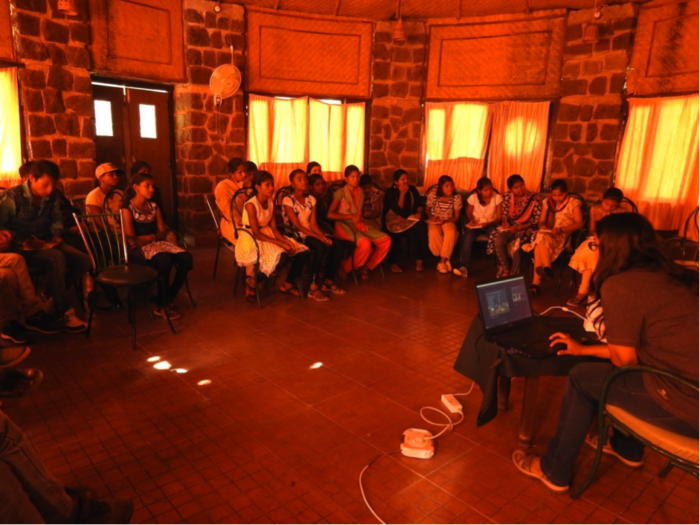 A previous orientation talk by Vidya Venkatesh, Bhavna Menon and experiences shared by Saily Gokhale who’d already volunteered for this project, gave me a general idea about the camp and role during my stay. 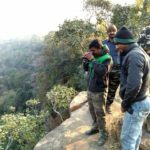 I reached Kanha Tiger Reserve (KTR) on 25th October 2017, elevated and enthusiastic even after a long and demanding journey. My stay was arranged at Mukki Forest Guest House for the first few days and I was introduced to Laxmi didi, the Forest Guard, who was also incharge of the camps. She was kind enough to fill me up with my schedule during my stay here and our discussion continued till dinner. My first night was memorable and something that would be etched in my memory forever. Around 3 AM in the morning, I could hear crickets and all of sudden I heard the Chital alarm call and many more sounds from deep within the wilderness which gave me a taste of the wild which never sleeps. My stay from 26th October to 5th November was divided into three one day camps and two, three day camps. During these camps, I was supposed to interact with students from 10 different villages. Students were shy at first but later, once they were well acquainted, started interacting, and it felt great to see these students, who lived around the reserve (but never got a chance to visit it) so excited about nature and wildlife at such a young age. Their excitement was evident during our jungle safari, where they would look around and identify plants and animals. During the camps, I mentioned the effects of climate change, the effects of deforestation and poaching on our beautiful lands and diverse wildlife, and also had small session on personal hygiene for girls. 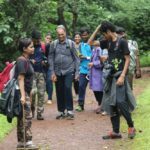 The students and I got to learn a lot from Laxmi didi and Monu bhaiya, who showered us with facts and information which we were oblivious to and this was plethora of information was a primary factor in changing our views towards this reserve. My duration at the camp also made me realise the level of dedication of the management at KTR and Last Wilderness Foundation (LWF) towards wildlife conservation and their vision to include the kids in this field so as to keep the future of wildlife conservation secure. We learnt to identify birds specific to this area, their names in different languages, their habits and their routine. 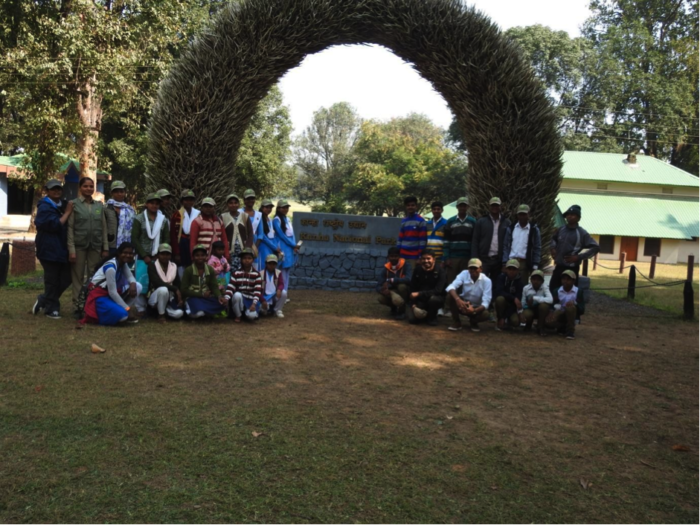 We also briefed the students about the animals in the tiger reserve and the way they were monitored. 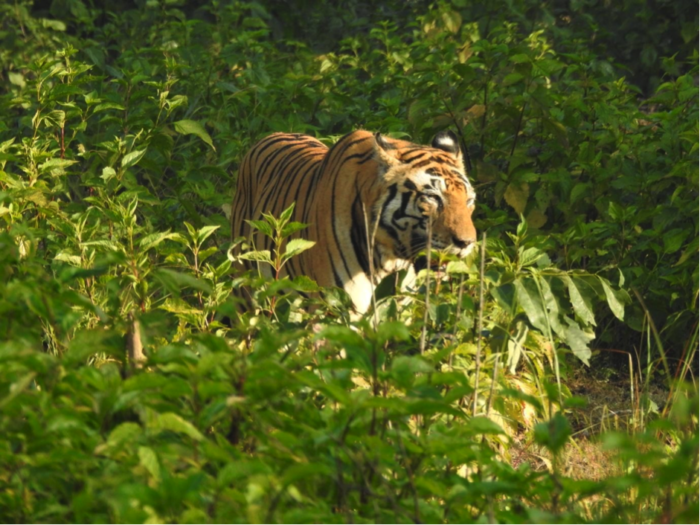 The gem of our entire trip was the opportunity to a witness tiger in the wild. This was the first time I had seen a tiger in the wild and nothing could compare with this experience. 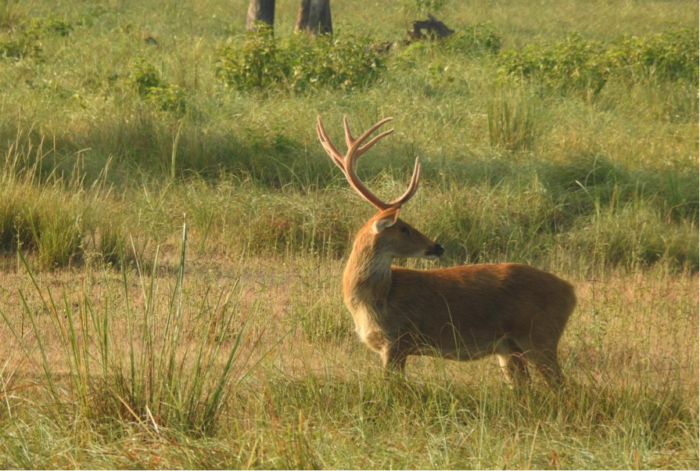 It was a spectacular sight seeing the big wild and magnificent cat out in the wild and what made it even better was that it was the famous Munna of Kanha! His fur was thick and beautiful and it was best opportunity to teach the students to differentiate between the wild cats by the patterns of their stripes. 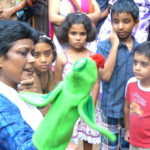 Every tiger, as a different individual, has different stripe patterns and the children focussed their attention towards Munna who has a very unique pattern on his forehead which bears resemblance to the word “CAT”. The students were amazed and so was I. Currently a general physician, it is my dream to be a veterinary physician, as my zeal for helping animals prevails, and I regularly volunteer to assist the vets at wild animals rescue centre. 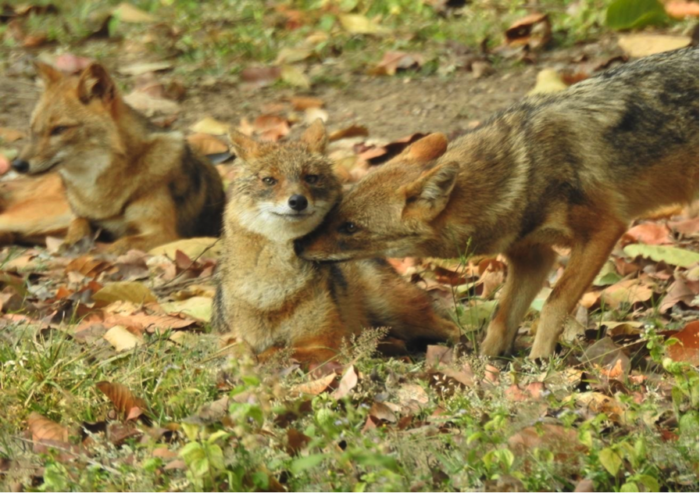 During my volunteering opportunities, I often came across animals in pain, heavily distressed and medicated while being confined to enclosures, but this was the first time that I was witnessing animals in the wild, happy, healthy and free. They were in their own world, basking in the sun, drinking from the ponds, scaring away the birds or looking for their prey. It was a life changing moment to witness their way of life and this made me realise how fragile the relationship between the wild and the humans is, and it motivated me to work with more enthusiasm to conserve this delicate relationship from the cruel hands of climate change, deforestation and poaching. 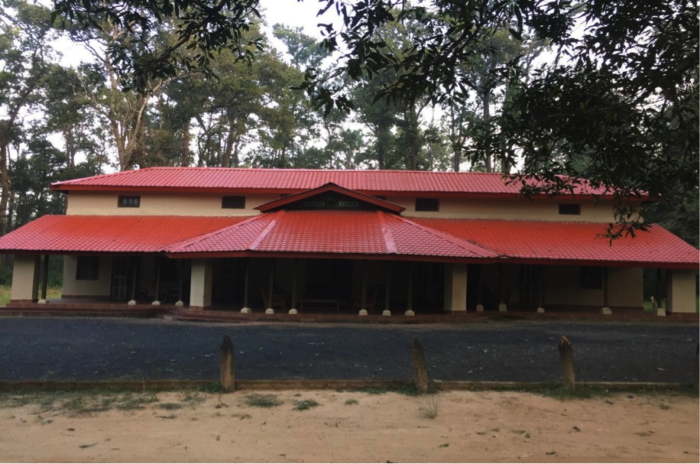 Kanha will always be close to my heart, not only for its beauty or serenity, but for also for the welcoming staff, who work day and night to preserve this world from the dangers of humankind. This little world has so much to offer to those visiting it, a glimpse into the beautiful world of freedom, a world where animals and the nature live in harmony without the outer interventions and where the little cubs have ample of pace to run without being separated from their mother. 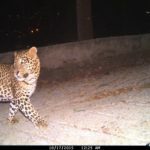 Similar experiences would be influential in bringing about a sense of preserving the wildlife and the appreciation of sheer diversity in the hearts of many. 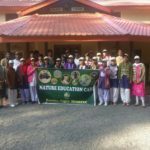 I would also like to mention the Assistant Director KTR Mr. Surendra Khare, who is actively working and is a big support for smooth running of the Nature Education camp. The amount of care and love he showers on each and every member of camp makes it special. I was honoured to have met someone like him, who truly believes in woman empowerment and also works for many good causes. This stay made me realize that proper information and facts have to reach the common people to bring about a change, an everlasting impact that the world is full of life and beauty and it would be injustice on their part if we as a species take away their right to freedom. LWF is doing great job by involving communities into conservation and also implementing awareness programmes to address man-animal conflict. I owe it to them big time, thanks you so much for this amazing opportunity! 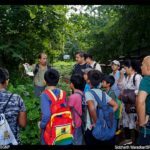 Thumbs up to such camps which makes people aware of the growing need to conserve our biodiversity!